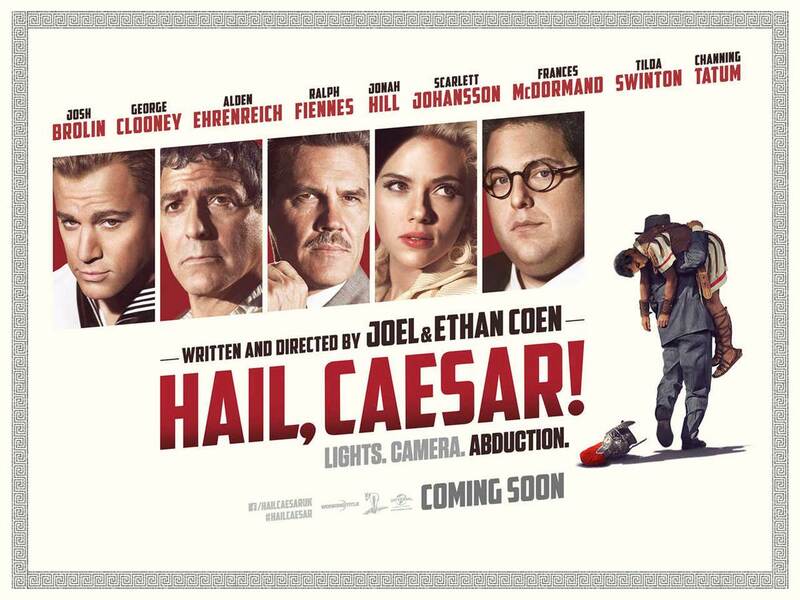 An American comedy film written, produced, edited, and directed by Four-time Oscar winning filmmakers Joel and Ethan Coen. In the 1950s, Eddie Mannix is an executive and “fixer” at Capitol Pictures. While it may seem a glitzy and glamorous job, it’s also a challenging one. His wholesome star DeeAnna Moran is pregnant out of wedlock. His Western star Hobie Doyle is being forced into a new genre of films and he can’t handle the dialogue with his thick Southern accent. He’s being stalked by gossip columnist Thora Thacker and her sister Thessaly Thacker. He’s also being courted to leave Hollywood altogether and join Lockheed. But amid this chaos, his greatest crisis arises. The star of his biblical epoch, Baird Whitlock, has been kidnapped. With the picture “Hail, Caesar!” now in jeopardy, Mannix must continue to juggle this band of misfits and save the studio.